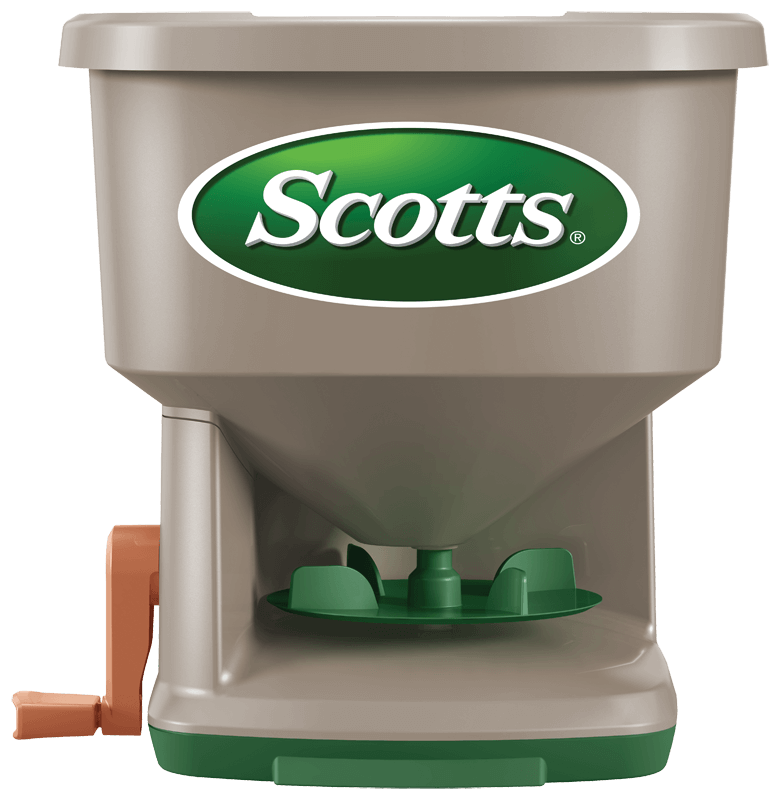 The Scotts® Whirl™ Hand-Powered Spreader is the perfect spreader for small yards. Engineered to deliver smooth and even product coverage with an adjustable arm support that provides maximum comfort. Use it to weed, feed, seed, and apply ice melt! 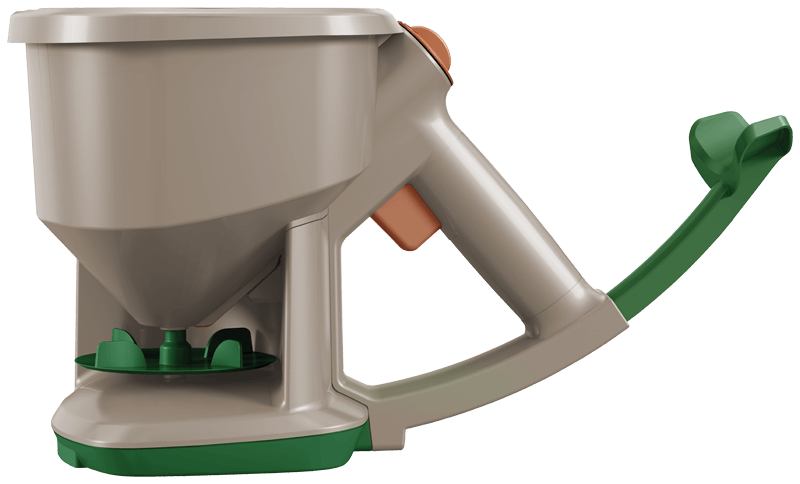 The Scotts® Whirl™ Hand-Powered Spreader comes fully assembled, so you can begin treating your lawn immediately. Holds up to 1,500 sq. ft. of Scotts® lawn products. The perfect spreader for small yards. Prep: Know the size of your lawn before you begin. Be sure not to overapply. Read and follow all Directions for Use on the label of the product that you are applying. Fill: Set spreader over pavement when filling so any spilled product can be swept up. Holds 1,500 sq. ft. of product. Set: Turn the orange dial to correct setting. Go: Begin walking, pull trigger and turn crank clockwise to apply product. Walk at a steady pace. Use year-round to apply fertilizer, seed, weed control and even ice melt. See the label of the product you are applying for specific setting instructions. If for any reason you, the consumer, are not satisfied with results after using this product, you are entitled to get your money back. Simply send us evidence of purchase and we will mail you a refund check promptly. Feeds and strengthens against heat and drought.